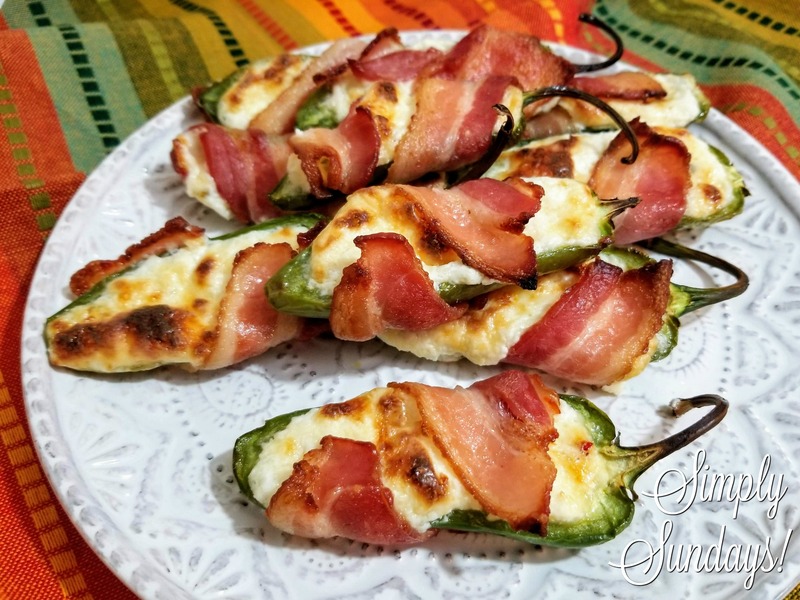 Jalapeno Poppers – Simply Sundays! “What can I bring?” I say. “Can you make your Jalapeno Poppers? ?” they say. Maybe a little dramatic, but it’s better to be safe, right? Bake at 400 degrees for 25 minutes or until the bacon is cooked to your liking. Broil for 1 to 2 minutes to crisp up. Let rest for about 10 minutes (the hardest part of this recipe) and serve! Line a sheet pan with foil for easy clean up. I’m using a wire rack so the bacon cooks evenly. Bake at 400 degrees for 25 minutes or until the bacon is cooked to your liking. Broil for 1 to 2 minutes to crisp up. Let rest for about 10 minutes and serve! Jalapeno poppers are the bomb! Your recipe looks amazing and so easy to make! Will definitely be making these for Super Bowl Sunday! Thanks Lesli! Enjoy the game! Oh yum! I remember making some of these for my husband about 8 years ago and we loved them – I think they’d be great for a party and as I’m hosting a party next weekend I think I’d better put them on the list of things to make! Awesome Corina! Enjoy the game! We like spice too! Hope you enjoy them! But the recipe is so easy and just a few ingredients, there is no excuse not to make it myself. Delicious! lol Lizet! Let us know if you make them!